The online version of this article ( https://doi.org/10.1186/s12879-018-3218-2) contains supplementary material, which is available to authorized users. 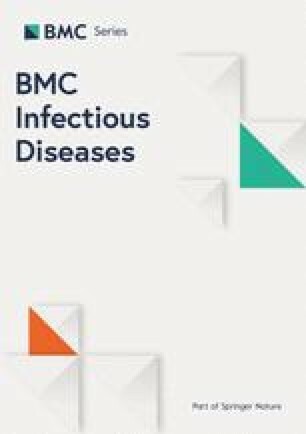 Underlying coinfections in primary infectious disease are an important variable to consider but are commonly undetected. A growing body of literature points to the high occurrence (10–50%) of coinfections [1, 2, 3, 4, 5], and > 75% of coinfections from diverse origins have an overall negative impact on human health . Underlying coinfections complicate disease presentation [7, 8] and the ability to detect their presence is highly relevant to inform medical treatment. The under-diagnosis of coinfections is due, among other things, to a lack of clinical suspicion, overlapping symptoms, and/or the fact that traditional tools have limited ability to identify coinfections in the absence of a priori knowledge. Thus, exploration of new diagnostic strategies is necessary to advance the understanding of the contribution of coinfections to infectious disease manifestations and treatment responses. Surveying for pathogens from a clean microbial environment, such as lymph nodes, may be a good approach to diagnose clinically relevant microbes. However, not all diagnoses necessarily reflect active disease or an infection that has clinical relevance. There are pathogens, including parvovirus B19 DNA, that are never cleared but, rather, continue to persist in a dormant state in the host [36, 37, 38]. Studies have documented that parvovirus B19 DNA sequence is detectable, albeit at very low levels, from a wide range of human clinical samples (skin, synovium, tonsil, heart or liver  and bone marrow ) years after seroconversion. Although such surveys have not been conducted in lymph nodes, fine-needle lymph node aspirates contain cellular material, including immune cells continuously migrating between these nodes, the circulation system, and the bone marrow . For this reason, we cannot conclude that the parvovirus B19 detected in three pediatric patient samples in this study was the result of acute infections. Initial patient medical examinations did not note signs of active skin rashes (data not shown). However, missed symptoms could be explained by the examination occurring during the early or late phase of this acute disease. In short, metagenomic diagnostics is highly informative for detecting unsuspected pathogens, but clinicians must continue to apply judgement to determine if detected pathogens have clinical relevance and/or warrant treatment.